It's usually around Christmas or new year they announce the initial lineup list, but I saw Ace Ventura and Hypnoxock announce on their Facebook pages that they are playing at Ozora 2013. Saying this festival is "Eco Friendly" is a fraud. No diversified waste disposal - toxic soap in showers - toxic toilettes. Please remove the "Eco Friendly" icon from this festival. I've seen several of your posts about Ozora - your negativity is absolutely disgraceful. Spead the Love? WTF? You should call yourself Spread the Hate. Go take your hatred elsewhere. Our scene really does not need this 100% bad vibration. Please try to make peace with yourself and the universe - please do not project your psychosis on to the rest of us. Thankyou. I've never expressed negativity, only facts. Can you prove that the fact I exposed is wrong? 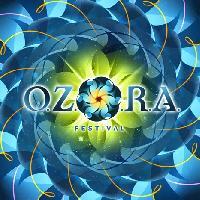 Ozora will be eco-friendly this year? Everyone is able to hate like you do, attacking me personally. But I never mentioned anything personal: just the fact that, even now, below the topic this festival is sponsored as eco-friendly, without remotely being that. Instead of always being a loyal servant, think about it. Maybe you just don't care, that's ok for me. Spread baby. Your last post is reading a lot like paranoid media drivel. Why deny that you have an extremely negative attitude towards this festival generally. You have multiple posts on this forum stating that the organisers are corrupt, the party is over ......blah blah blah...... You do appear to be in a minority though. The big picture reveals you as a negative hate filled anti- Ozorian. In fact I don't get any vibe off of you that you are one of us at all. Next August while you are in your dark damp cave vomiting your hate filler rhetoric we will be at the party man, having a great time. Hi there, it looks all the bad words and vibe are coming from you for hiding something that it's just the truth.. there is not only him to have had bad experience from Ozora, and i can assure you there are so many, not interacting into this forum, to have a very bad memory of the last event..
Who should we thank so? ..and are you so sure next year won't be even worst? ..i saw cops and dogs strongly searching also at the end of the festival outside the gate.. and how can't you expect this particularly at the entrance for next year? ..i feel Hungary is finished due to the present political establishment, and Ozora as well.. and for one month long after the festival the Hungarian national tv was only speaking about the Ozora scandal.. I feel this festival become extremely risky and after so many years seeing always the same place i will definitely go to somewhere else..
Also to see the long time closing of all the shops during the tax check was a real disappointment.. how is it possible nobody working didn't have a regular business paper to show.. If this is an open and correct forum you just need to understand and think about what you are looking for from a good trance festival..
Ozora, after a long glory, is now OVER..
Psylight. What are you talking about man. 20,000 people were there this year. We all know what went down. We all told all our friends what went on. Thats everyone on the scene knows what went on. It could have been worse It could have been better. But you have let them win in your mind, because you fear them, they won. The Man 1- Psylight 0. Adapt and evolve mate go to the next one, be safe. i'm an humble and simple uk traveller and your communication attitude is very grounded guys..
and so i fully agree with adygroovy.. the way you "ozorian" are talking is really inviting to run away..
yeah very bad and ignorant attitude to use such a "dictionary" specially to find useless justifications and protection to what was a simple evidence.. what a disappointment.. a forum should be a constructive place to exchange views but these ozorian replies sound really like overbearing and expecting only claps.. yeah, it's so disappointing.. and same for red-carnation, who like a blind man just spread accuses of fear like an hooligan from a football stadium ready to fight.. like to face police should be a match to win or loose.. it's just a loss man.. and the looser is just you with your arrogant tone of super-hero.. i feel enough evolved to make my choices and suggest all around me to take care after what i've seen and heard.. It's me to wish you to be safe.. i'll follow the shining weather mate.. 'cause there will be a big rain.. When it rains I'll be dancing in the puddles waiting for the rainbow.